Another week passes us by but in the process brings a brilliant week of car news, including the new Ferrari LaFerrari Spider and a one-off 458 Speciale, two new Audi's and the rebirth of the new 8 Series plus an all-new BMW model! Ferrari's in-house design team the Ferrari Styling Centre have put together a one-of-a-kind 458 Speciale known as the 458 MM Speciale. The car was designed specifically for an enthusiastic British owner whose identity is currently unknown - although the MM name could be the person's initials. It could also be a reference to Maranello near Modena, but the former seems more likely. The customer also made a very precise request with regards to the design of the car, asking for a 'visor' effect for the front and side windows which is achieved through black pillars and a lowered roofline. Other changes include hand-crafted aluminium bodywork with a new side scoop design, new carbon-composite front and rear bumpers, modified air intakes, revised rear light clusters, rear spoiler, and bespoke alloys too. 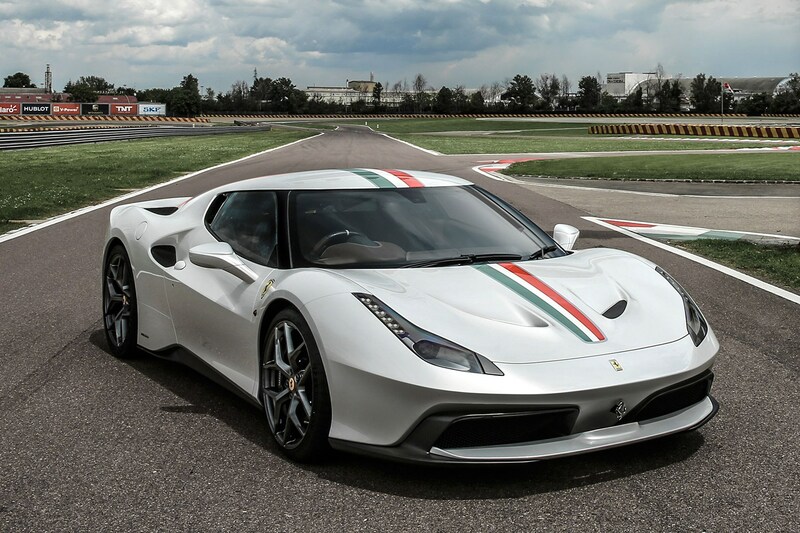 The 458 MM Speciale is then finished in a 'Biano Italia' paint with livery stripes in the colour of the Italian flag, with white-stitched leather upholstery and a uprated sound system too. 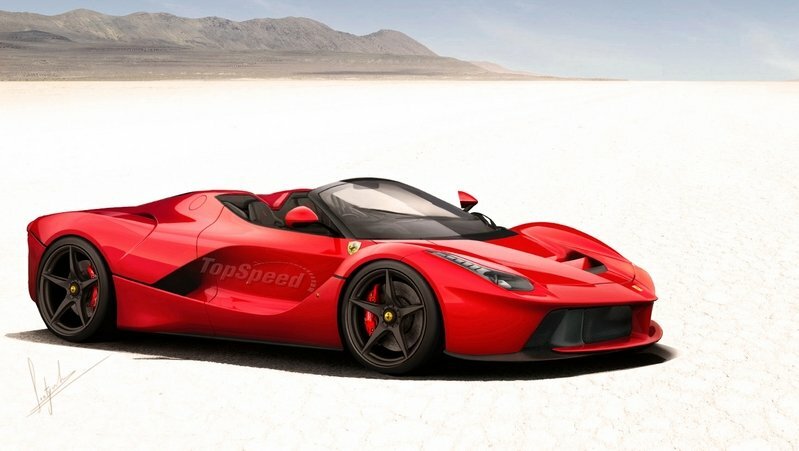 The LaFerrari hybrid hypercar blessed us in 2013 and now Ferrari have confirmed that a Spider equivalent is on the way. The LaFerrari Spider will come with the same 6.3-litre V12 hybrid in the existing Coupe, meaning a ridiculous 950 bhp output capable of 220 mph and a 0-62 mph time of less than three seconds. As with any convertible, there will be extra strengthening added as a result of the roof conversion, but it isn't expected to add any significant weight due to being made of carbon-fibre. No pictures of the LaFerrari Spider have been revealed yet, but with the car likely to arrive in 2017, you imagine that an official unveiling will probably occur at some point later this year. The production-run of the Spider is set to be limited to just 150 units - a lot less than the 499 units for the Coupe. The price of Spider is subsequently expected to be higher as a result of this, meaning one will set you back at least £1.2 million. 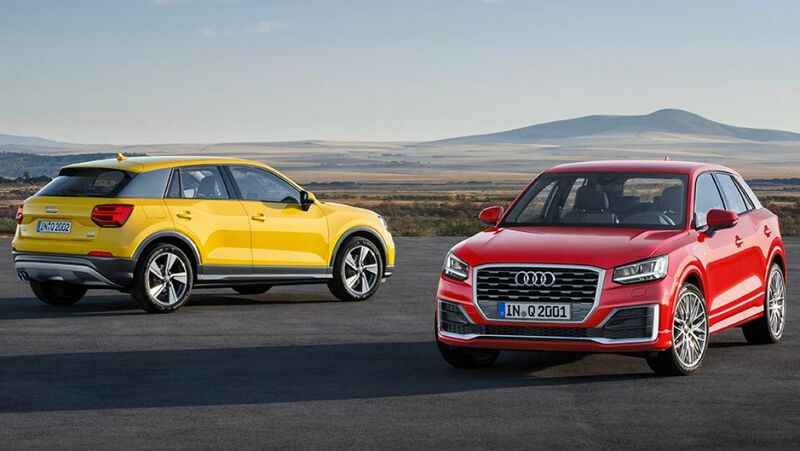 The Audi Q2 will hit the showrooms later this year but it seems that a sportier SQ2 version is in the works for 2018. The SQ2 will follow Audi's growing range of S-spec SUVs, joining the SQ5 and SQ7 - their most recent additions to the lineup. The SUV is expected to use the same 2.0-litre turbo four-cylinder engine from the Audi S3 as well as the brand's famous Quattro four-wheel-drive system. It'd mean a power output of around 296 bhp, which is an impressive amount of power for a small SUV. It could get even better though, as Audi insiders have revealed that there could even be an RS Q3 running the 362 bhp five-cylinder turbo found in the RS 3. Now that'd be crazy! As for the SQ3 however, we'll have to wait and see what happens as nothing is confirmed as of yet. The car won't be announced until some point next year, so we look forward to hearing some news on it as and when it is. The next generation A5 has finally been unveiled at an event in Audi's hometown of Ingolstadt. The new A5 maintains the same body shape as its predecessor but receives an overhauled front end with a lower and wider grille, wider air intakes, chrome detailing, and bulges and creases used to accentuate and beef up the look. The rest of the car is pretty much the same, with only slight changes in the shape of creases and lines across the bodywork and updated LED lights. Engines include 2.0-litre petrol and diesel choices, a 3.0-litre diesel, plus the new 3.0-litre turbo V6 for the S5 and a rumoured 3.0-litre twin-turbo V6 for the RS 5. Gearbox choices are a manual 6-speed and 7-speed automatic, with an eight-speed tiptronic available for the S5. The new A5 will be available in November, with the Sportback equivalent arriving in January. Prices start at £32,000 for the entry-level A5, with the S5 fetching around £44,000. It looks as though the BMW 8 Series is going to be back in action as the German manufacturer have applied for trademark rights on the cars nomenclature. Now you may instantly wonder what's the point in an 8 Series considering BMW currently offer a very similar model in the 6 Series. Well, BMW insiders have confirmed to Auto Express that the current 6 Series will in fact become the new 8 Series, paving the way for an all-new model in the 6 Series. This new 6 Series will look to rival the Mercedes-AMG GT and Porsche 911 as a true two-seater sports car. Nobody can deny that the current 6 Series is somewhat large, so therefore building on that and renaming it to the 8 Series whilst producing an all-new 6 Series makes a lot of sense. Although this is all a couple of years off actually happening, the images that Auto Express have put together above of what the new 6-Series may look like really do get us excited for the future of BMW. Here's to hopefully seeing the two new cars in the not-so-distant future!